Please welcome Timothy S. Johnston to The Qwillery. The Freezer, the second novel in The Tanner Sequence, is out today from Carina Press. TQ: Welcome back to The Qwillery. 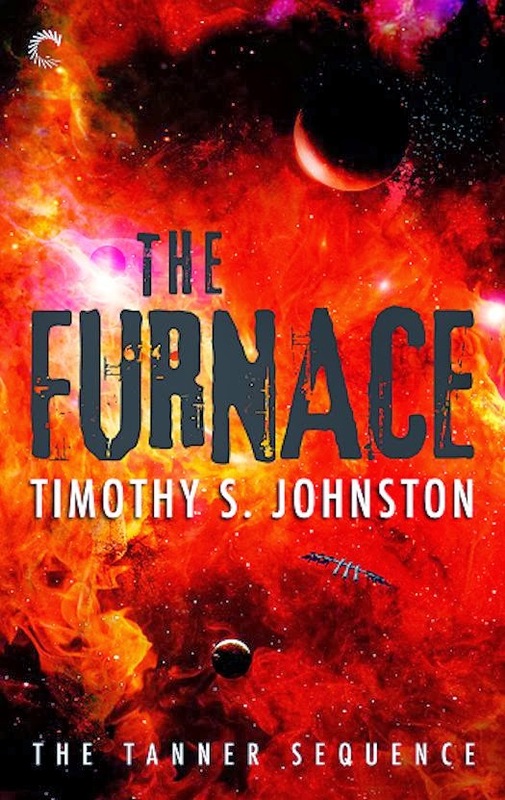 In The Furnace you showed great skill in combining Sci-fi/military and Techno Thriller, do you stick to those same genres in The Freezer or do you blend different genres in the second book? Timothy: Hello! It’s a pleasure to be back. As in The Furnace, The Freezer is a murder mystery with elements of Sci-Fi, Thriller, and Horror. Film has had a big influence on me, and movies such as THE THING, ALIEN, THE FLY, ESCAPE FROM NEW YORK and BLADE RUNNER resonate in everything I create. I love the genre. The greatest SF writer, in my opinion, was Isaac Asimov, and his mystery plots (The Robot Novels for instance) are highly compelling. Additionally, Edgar Allan Poe’s dark gothic mysteries are fantastic. I think if you took all these things and put them in a blender, you might end up with The Freezer. TQ: When you started out writing did you consciously want to blend genres or did it just happen naturally based on your own personal interests? How has your writing process changed over the years? Timothy: I’m hoping to attract a mainstream audience with this series. Michael Crichton was a master at it. For this reason, the science is all grounded in reality and I don’t use aliens or alien civilizations. I want to make things relevant to issues today around the world and relatable to the mainstream. Was a multi-genre book a conscious decision? Yes. I wanted to write a murder mystery. The setting of any mystery of this sort is crucial. I love futuristic locations because the potential for drama is huge. 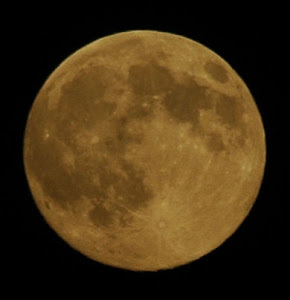 The vacuum of space, airlocks, the chilling temperatures on an ice-moon of Jupiter, for instance. In The Freezer, the base is located on Europa’s ice ocean which covers the entire moon. There is no land there at all. Fissures can open at any time and swallow you. There are water volcanoes there too. Hubble caught images of a 200 km high plume of water just last year! Settings like that are just perfect for someone like me. Put a claustrophobic base in a place like that, make it a military setting where the chain of command is incontrovertible, and throw a murder in the mix, and the potential for drama is just massive. In regards to how my process has changed over the years … I would say that I spend more time planning and plotting and researching now than I did in the past. The more pre-writing work you do, the easier the actual writing becomes. And the more you research — even if it’s not used in the book — the better the framework holding the plot in place. The characters I am writing have whole histories behind them, even if only a little bit is ever mentioned. It all contributes to how they behave and interact with others in the books, to make things more realistic. 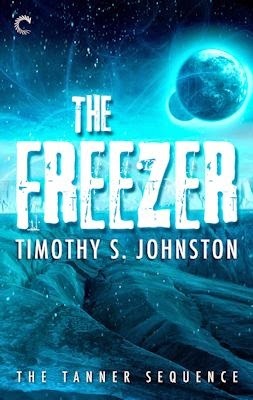 TQ: The Freezer takes place on a frozen moon of Jupiter. How did you research that type of setting to immerse the reader? Did you take a trip anywhere cold to get an authentic feel? Timothy: Well, that’s a good question. I’m attracted to cold settings. Movies like THE THING, THE GREY, X-FILES: I WANT TO BELIEVE. I’m not 100% sure why I love that setting, but it can provide a terrifying atmosphere. I grew up in Canada and I’ve been through some incredible winters. Picture a meter of snow falling in 24 hours! It’s truly awesome. Everything in the city just shuts down. Of course, in a book of this type you need a setting where people simply can’t leave the facility, so a cold environment like Europa, which is an ocean of ice on a layer of liquid water, is perfect. I also want the environment to mirror the Investigator’s emotions in this series. In The Furnace it was the heat of the investigation and a descent into hell for Tanner. It was incredibly dangerous and the investigation took place in a claustrophobic facility growing in temperature over the span of the novel. Uncomfortable people will not act normally. Their innermost feelings and emotions will boil to the surface. In The Freezer something happens to Tanner early on, and this affects his emotional state. He becomes slightly unbalanced, cold and somewhat heartless. He’s on the edge. The chilling temperature at the station affects everyone and keeps them on edge as well. It’s a real source of tension in this book. TQ: Tell us something about The Freezer that is not in the book description. Timothy: A question that haunted me while I wrote The Freezer was: Would a homicide investigator consider murder to avenge someone he loved? Since Tanner works for a military dictatorship, he can basically murder anyone he wants and is able to justify it through his position as an Investigator. However, Tanner is a moral person and he wants to help people. He doesn’t really want to be a weapon of the military. However, if you push him hard enough … Let’s just say that the ending of this book is one of the most powerful things I’ve ever written. I’m so proud of it. TQ: Will The Tanner Sequence end after book 3, The Void, or would you like it to be a long-running series? And if it is going to continue, do you have other exotic locations to which you'll send Kyle Tanner next? If yes, can you give us a hint? Timothy: Carina Press is releasing The Void early in 2015. It takes place in the lonely emptiness between stars. Tanner’s ship breaks down while he’s transporting a serial killer, another ship is also stranded nearby, and [bleep] hits the fan! I love these characters and would be open to writing more. As to other locations … yes, I do have ideas! Because these are claustrophobic murder mysteries, the settings have to be isolated and dangerous. If I do write more, I promise that I will keep Tanner working in remote facilities and stations. I also have other ideas about the future of the military dictatorship in this series. I am interested in exploring it, to write about The Fall, so to speak. TQ: Your first book, The Furnace, was self-published before you made a deal with Carina to publish three books. Now that you've gone through both types of publishing, do you see a value in one over the other? Timothy: There is a team behind me now, working to help create the best product possible. I welcome advice on what could make the writing more compelling. I prefer this, no doubt about it. It’s hard to be objective about your books when you are independent. Take movies, for instance. You film the movie, then you edit. Then you test with an audience. If things aren’t working, you re-edit and reshoot and tweak things. Then you re-test it. Books are no different. I still have my creative freedom, but I do value other opinions! I listen to my editor(s) and my agent. Even people who reviewed The Furnace had an impact on my writing. TQ: Do you see yourself going back to self-publishing or even using Kickstarter in the future, or will you continue to go the traditional publishing route? Timothy: Never say never, but I will stick with traditional publishing. I like having people in my corner, helping create the best product, and also helping market it. TQ: In other interviews, you've mentioned that you're very particular about aliens, will we ever see aliens in your novels? What types of aliens do you like? Is there a book or movie alien you like or dislike? Timothy: Once again, never say never. I do have some ideas … but for now I would like to avoid aliens. As I mentioned, I am trying to write for mainstream Sci-Fi fans and would like to focus on humans and basic human emotions that are more relatable for people. That being said, I would be open to writing for other series and using aliens from those worlds. A STAR TREK book, for instance. As for my favorite aliens in film and books … I enjoy ones who make compelling and scary antagonists. The original Alien from Ridley Scott’s 1979 film of course. Also James Cameron’s ALIENS. Predator from the original film. The aliens from Frederik Pohl’s GATEWAY series are great because they are very mysterious and not well understood by humans. The Buggers from ENDER’S GAME because they are used more as a natural disaster or a force of nature than a well-understood villain. I didn’t really enjoy the Predator from the ALIEN VS. PREDATOR (2004) film because it contravened the rules that earlier films had created! PREDATOR took place in a hot tropical jungle. PREDATOR 2 during a heat wave in Los Angeles. The implication is that these aliens are from a hotter planet and prefer this type of environment when they are hunting humans. Then all of a sudden they put Predators in Antarctica … it just didn’t make sense. Stick to the established rules of your series! I think movie-goers — especially of genre work — are smart people and you can’t break your own rules. TQ: Do you plan on focusing all your writing on novels or would you like to try your hand at writing scripts, graphic novels, plays, poetry or Young Adult books in the future? Timothy: My intention is to focus on novels for the near future. That being said, if there was ever interest by a film production company into turning The Furnace, The Freezer or The Void into movies, I would of course be open to doing the script. And why wouldn’t there be!? These are intense murder mysteries in incredibly hostile settings! I think the movie potential is huge. The visuals in these books are epic and the tension is palpable. I would also be interested in writing for another series. A STAR TREK or STAR WARS book for instance. I love those worlds and characters and would be very open to exploring them. Timothy: The Void is coming early next year. I visited an anatomy lab, interviewed a forensic pathologist, visited the pathology department and the morgue. Parts of the book are very graphic, and I wanted to get it right. Doing the research was … there are just few words to describe it. Visiting the anatomy lab was one of the greatest experiences of my life. I have the utmost respect for forensic pathologists. They solve crimes and give families closure every single day. Timothy: My pleasure! I hope The Qwillery will be open to also reviewing The Void early next year. CCF homicide investigator Kyle Tanner and his girlfriend are on their way to Pluto, en route to a new life together. Just one little death to check out in the asteroid belt first. But when you're as tangled up in conspiracy as Tanner is, a few hours on a case can change your life. Or end it. A desperate search for answers takes Tanner to The Freezer, an isolated facility on one of Jupiter's moons. With anti-CCF dissidents targeting the facility, a team of scientists conducting experiments the military would rather remain hidden, and a mysterious man in white hunting him on the ice, Tanner will have to choose his allies carefully. Putting his faith in the wrong person will leave him bleeding out in seconds. 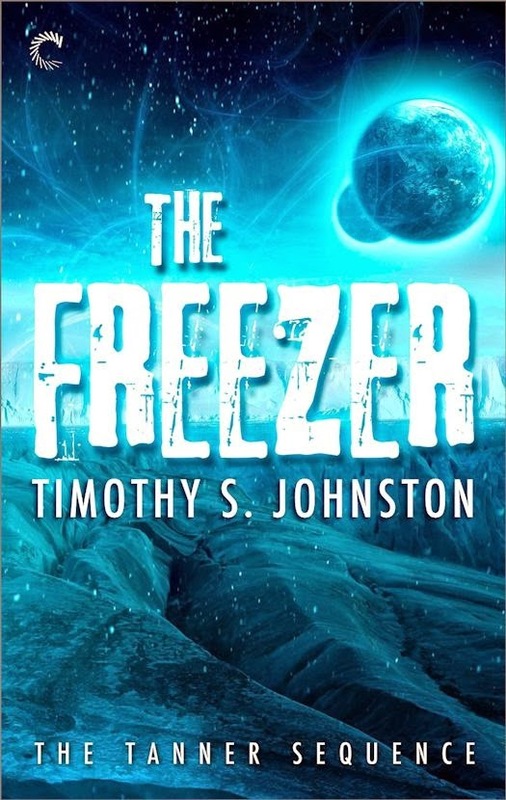 The Freezer is the second book in a science fiction thriller series by Timothy S. Johnston. Johnston shows great skill in blending different genres. 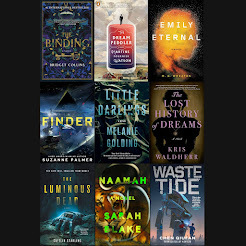 With both books set in outer space, science fiction is the main genre but then Johnston adds in other genres that add more dimensions to the story. There's a military aspect with the CCF, a council ruling everyone in the known galaxy with a iron fist. Our hero, Kyle Tanner, brings a nice noir-flavored gumshoe detective to the book, and the mysteries for both books have a medical slant to each of them. And lastly there’s action and thrills. That makes it easy for anyone with a pulse to find something to like in his books. It's not necessary for the reader to have read The Furnace before jumping into the second book. Johnston does a great job of giving the reader enough information about past events to keep them from being lost or as a nice refresher for those of us who read the first book a year ago when it first came out. 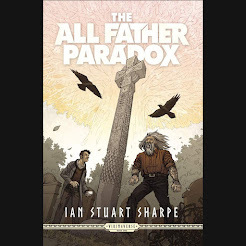 As the mystery is all important in a murder mystery, I will say that I was pleasantly surprised at the end of the book by the fact that I hadn't figured it all out. I figured out a few things along the way, which I think we all enjoy, but there was enough that surprised me and kept me reading to find out who did it. Johnston is a master of setting in The Freezer. You quickly get lost on the frozen moon of Jupiter. The environment acts as another character in the story as it changes and evolves with the mystery. Johnston is wonderful at not just using the setting as a backdrop for his stories but also immersing the characters in it and making them struggle to survive it. This is where most of the action and thrills came in the book and some of my favorite scenes were encased in the setting. My only complaint of the book was about the timing of a certain character's death. I felt like it happened too soon. I would have preferred to have a little more time with the character so I could feel more invested in what it meant for Tanner to lose that relationship. I do, however, like how Tanner coped with the death as the story progressed, but I still think it would have had more of an emotional impact for me if I had had more time with the character. On a side note, I'd like to mention one of my favorite aspects of the The Freezer is actually a sub-plot of the story that can also be found in The Furnace. It deals with the CCF and the way it rules the galaxy. I hope I'm not misreading the signs, and if I am I hope this might become reality, but I really want Tanner to change his allegiance and start a rebellion against the CCF. He would make a great rebel leader fighting the good fight. The Freezer delivers what it promises as the thrills and mysteries ramp up and don't stop until the end, leaving you to catch your breath until the next book in the series arrives. There is violence, some strong language, as well as suggested adult situations, so I would recommended it to adult readers. I'd also recommend it to anyone looking for a quick escape in a hard environment. It's also good for those of you who like a challenging mystery to solve and conspiracy-junkies to speculate on what's in store for Tanner. Kyle Tanner is about to die. Alone, floating in a vacsuit only a few million kilometers from a massive, uncaring sun, he has barely enough time or juice to get out a distress signal before either his oxygen runs out or he succumbs to the radiation. When the CCF sent investigator Kyle Tanner to SOLEX One, a solar energy harvester past Mercury, he thought it would be an open-and-shut murder case. A crew member was found dead, minus his head and hands. Not the worst Tanner has ever seen, but the deeper he delves, the more nightmarish it becomes. A shadowy figure, bleeding from his hands, assaults Tanner in his quarters. Then two more turn up dead, missing their heads and hands as well. Read Brannigan's Review of of The Furnace here. 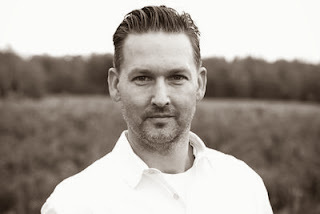 Timothy S. Johnston is a writer of futuristic and contemporary mystery/thrillers. There is always a technological component to his plot lines, and the science that he uses to propel his stories forward is real and verifiable. His characters are strongly motivated and undergo extreme change; his protagonists each find themselves drawn into intense situations seemingly beyond their control. The stakes are always huge and the outcomes unique and unpredictable. He is dedicated to the art of telling a compelling story and contributing to the genre that has given him so much over the past four decades. He is passionate about writing and committed to inspiring others through his stories. Carina Press is currently publishing a trilogy of thrillers by Johnston: The Furnace (2013), The Freezer (2014), and The Void (2015). This series — The Tanner Sequence — details Homicide Investigator Lt. Kyle Tanner’s emotional journey as he solves difficult cases set in unique and deadly claustrophobic environments.